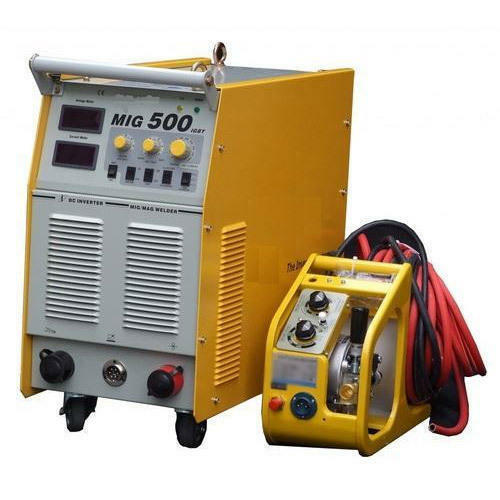 With an objective to fulfill the ever evolving demands of our clients, we are engaged in offering a wide assortment of MIG 500 Welding Machine . Incorporated in the year 2008 at Ludhiana (Punjab, India) we “Maharaja Engineering Tools” are a Sole Proprietorship firm, engaged in trading premium quality range of Anchor Bolt, Machine Vices, Welding Machine, Pipe Bending Machine, etc. We provide these products at reasonable prices and deliver these within the assured time-frame. Under the guidance of “Mr. Sandeep Singh" (Proprietor), we have been able to meet varied requirements of patrons in a prompt manner.